THE PAD PROJECT special addition custom locket! Get BLOODY excited! The Pad Project Project is now LIVE! Myself and 8 other small biz babes have been working hard, dreaming up big and creating products all to raise funds for The Pad Project; a wonderful organisation that have developed a machine to make affordable, bio degradable pads for women overseas. Not only does this machine create much needed resources within the community, it also creates jobs! Win/win! 50% of all profits from my range will be donated directly to this organisation. This locket us available in stainless steel or rose gold and is hypoallergenic on a 70cm ball chain. Hot water bottle, pain relief and chocolate are the ESSENTIALS to make you feel better during that time of the month. 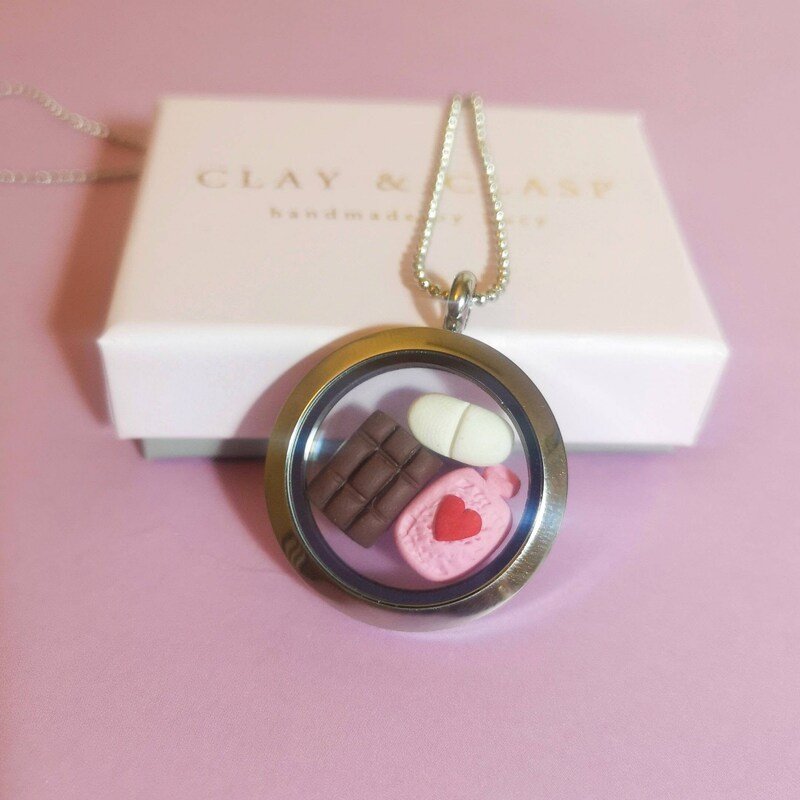 By purchasing this locket you are helping to raise funds for The Pad Project, the organisation behind the Netflix documentary ‘Period. End Of Sentence’. They have developed a machine to make affordable, bio -degradable pads for women who were previously often resorting to using dirty rags and even ashes as sanitary products.